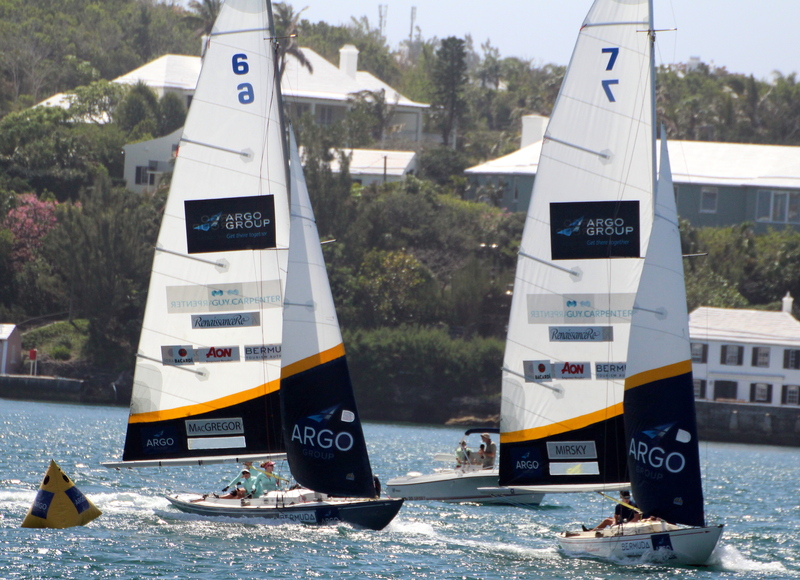 When the Quarter-Final Round of the 68th Argo Group Gold Cup gets underway Friday morning the eight teams will bring an array of experience to the storied regatta. Crews led by Taylor Canfield (USA), Johnie Berntsson (SWE), Joachim Aschenbrenner (DEN) and Nicklas Dackhammar (SWE) all qualified for the Quarter-Finals on Wednesday by placing in the top four of the Round Robin stage. The Quarter-Final pairings pit Canfield versus Botticini, Berntsson against Lalumiere, Aschenbrenner against Macgregor and Dackhammar versus Mirsky. The winner of each match will be the first crew to score three points.